This summer, third grader Judy Moody is planning the most super-duper, double-rare summer vacation ever with best friends Rocky and Amy. Except that it turns out Rocky is going to circus camp to learn to tame lions, and Amy is headed off to Borneo with her mom to save a lost tribe while Judy stays home with her pesky little brother Stink and second-best friend Frank Pearl. Just when she thinks things are as rotten as they can be, her parents announce that they will be going to California and Judy will have to stay behind with her Aunt Opal, who she's never even met! It looks like Judy's best summer ever has just become her way worst summer ever. 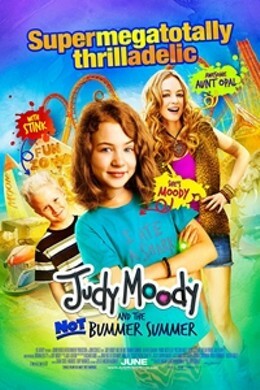 Judy Moody and the Not Bummer Summer is not showing in any theaters in the area.